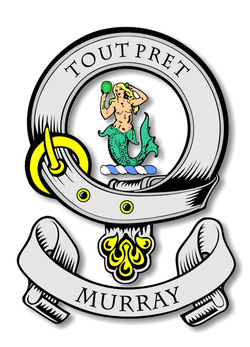 Welcome to the official website of the Murray Clan Society of NSW. We will be adding exciting new material in the coming months so please visit us again. In the meantime, if you cannot find the information you require, please feel free to contact our Secretary, Julie Evans at PO Box 407 Wingham 2429 or email the President, Ross Murray at murrayr46@gmail.com, phone 02 6555 9818. The Murray Clan Society of NSW exists to promote friendships among people bearing the name "Murray", or who are connected by marriage, descent or ancestry with the family. We also aim to foster an interest in the traditions of Scotland and her people, and to organise functions which enable members to meet, socialise and learn more about their clan. The society participates in the Bonnie Wingham Festival and other Scottish heritage events such as those in Aberdeen, Glen Innes, Bundanoon and Port Stephens. Additionally, there is a twice-yearly newsletter covering news and items of interest involving clan members and their families, as well as bits and pieces relating to Scottish history, traditions and culture. The newsletter also provides information about forthcoming activities within the Clan and the wider Scottish community which may be of interest to members, as well as acting as an information exchange for those looking into their Murray family history. For those south of the border, there is an active Murray Clan Society in Victoria. Contact Doug Lloyd at dougpat1940@gmail.com.